Around 1980, London-based Bullwackies fan Ed Brennan circulated amongst his friends a homemade cassette of his own favourite Wackies productions. In turn, Lloyd Barnes made his own selection from this Pirate's Choice - adding several debut cuts, but retaining Ed's title and much of his artwork (omitting the barcode which he had snipped from a can of drink!). 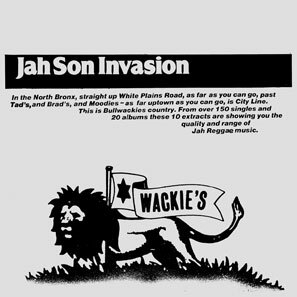 Like the Coxsone re-appropriation, this makes for a superlative compilation. mix of his Sometime Girl 12". 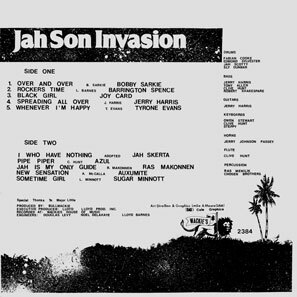 'From over 150 singles and 20 albums these 10 extracts are showing you the quality and range of Jah Reggae music', as the cover puts it. Another master-class from Bullwackies country.